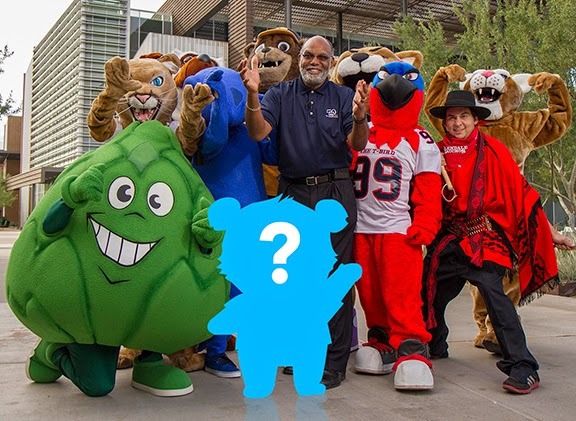 Rio Salado College | RioNews: Help Rio Salado Choose a New Mascot! Help Rio Salado Choose a New Mascot! Have you ever wondered what Rio Salado's mascot is? Get your creative juices flowing and help us choose a mascot that reflects our culture, brand and history-- and will fit in with our motley crew of Maricopa Community Colleges mascots. Submit your suggestions for a name, idea or design concept to our Rio Salado College Mascot Contest committee, January 5–31, 2015. The selected winner will receive a $100 gift card. Learn more by visiting www.riosalado.edu/mascot.